Pagini Family Pasta is the brand identity for a small, family–owned pasta company. 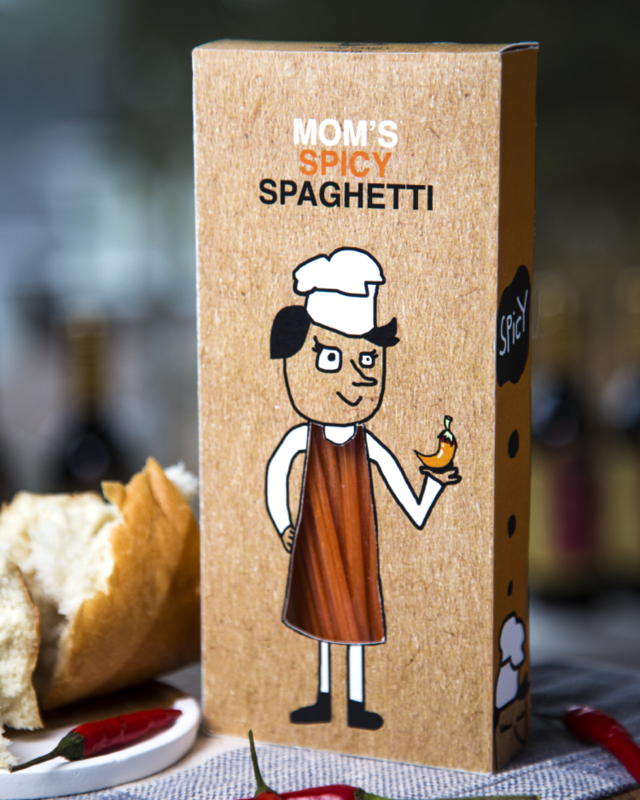 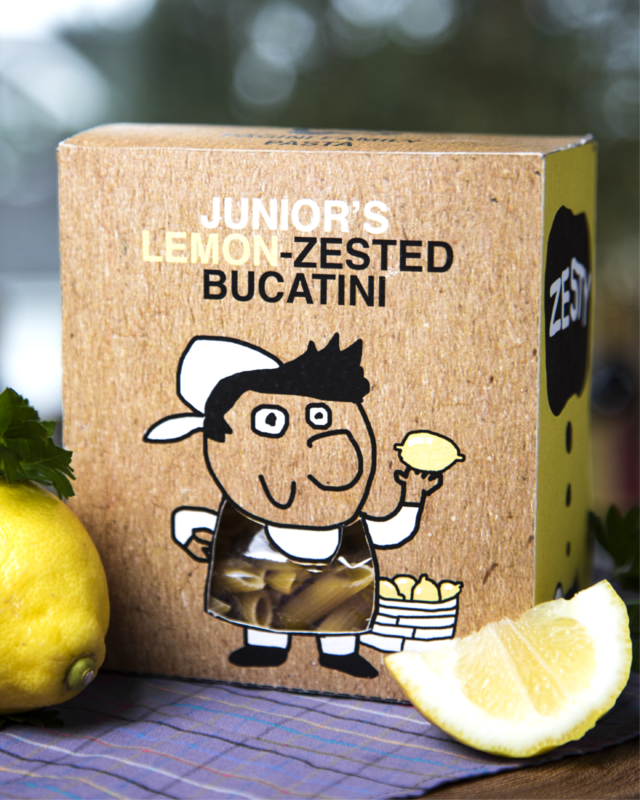 The goal of the ad campaign was to create a packaging design that reflected the pasta’s homemade, artisanal origin while still giving a sense of iconography that could be reproduced on a large scale. 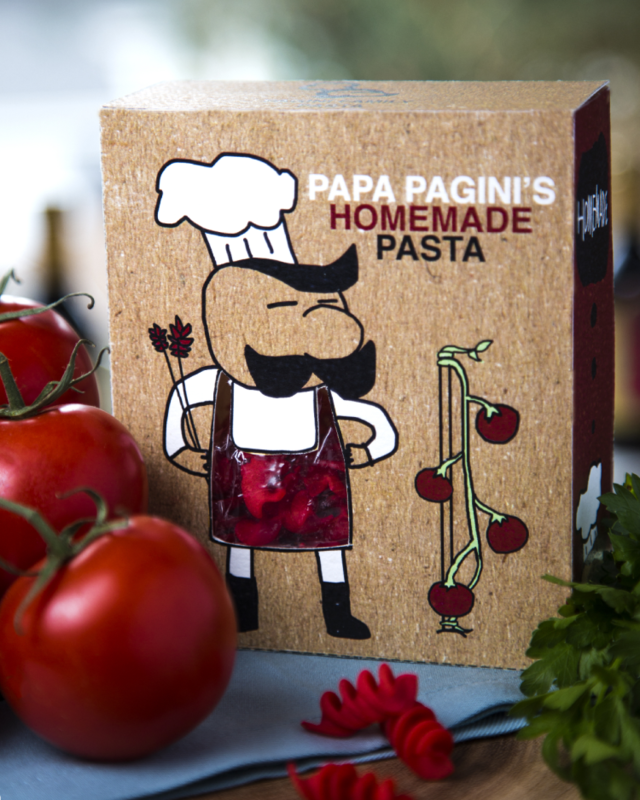 It was decided to use brown recycled cardboard to create the packaging, which promoted the handmade aesthetic while being eco-friendly. 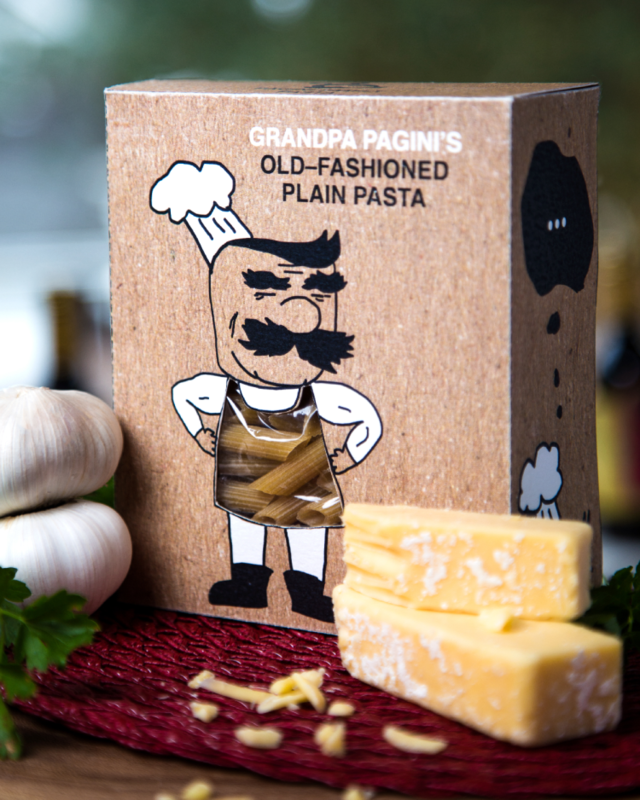 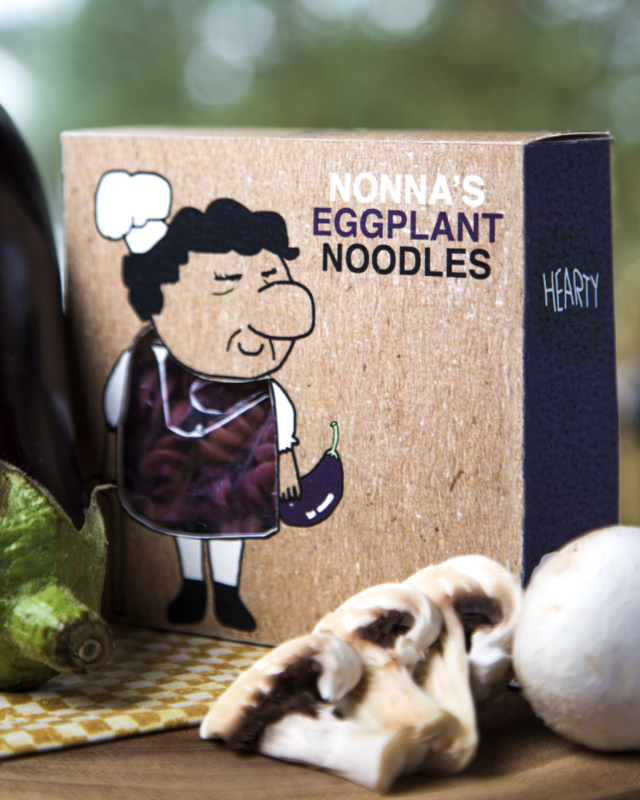 Individual family members were caricatured and matched with a distinct variety of pasta, and die-cuts were created to display the pasta itself.